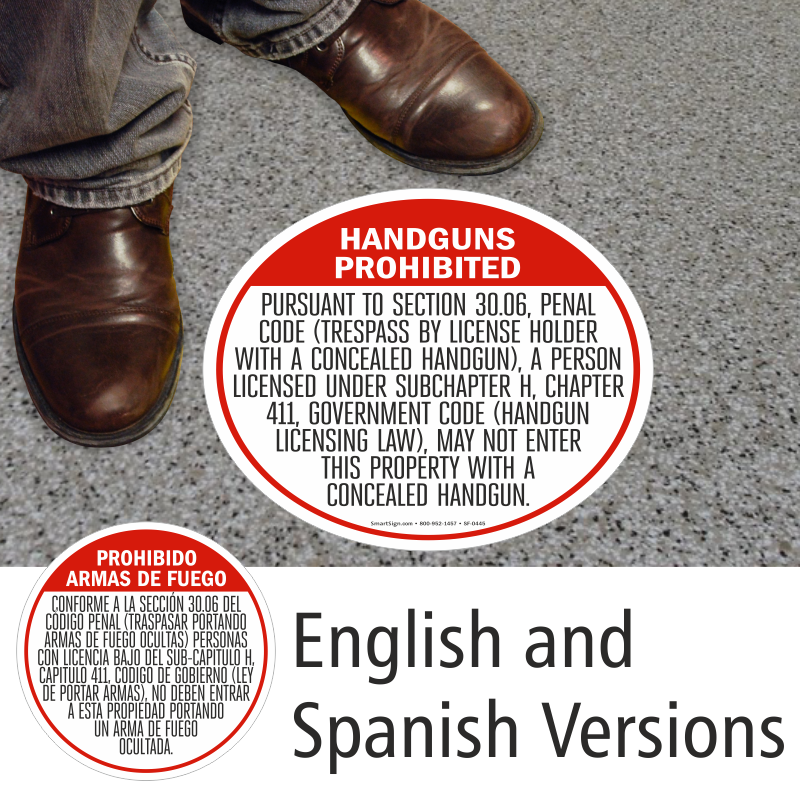 Contents One §30.06 floor sign in English and one §30.06 floor sign in Spanish. 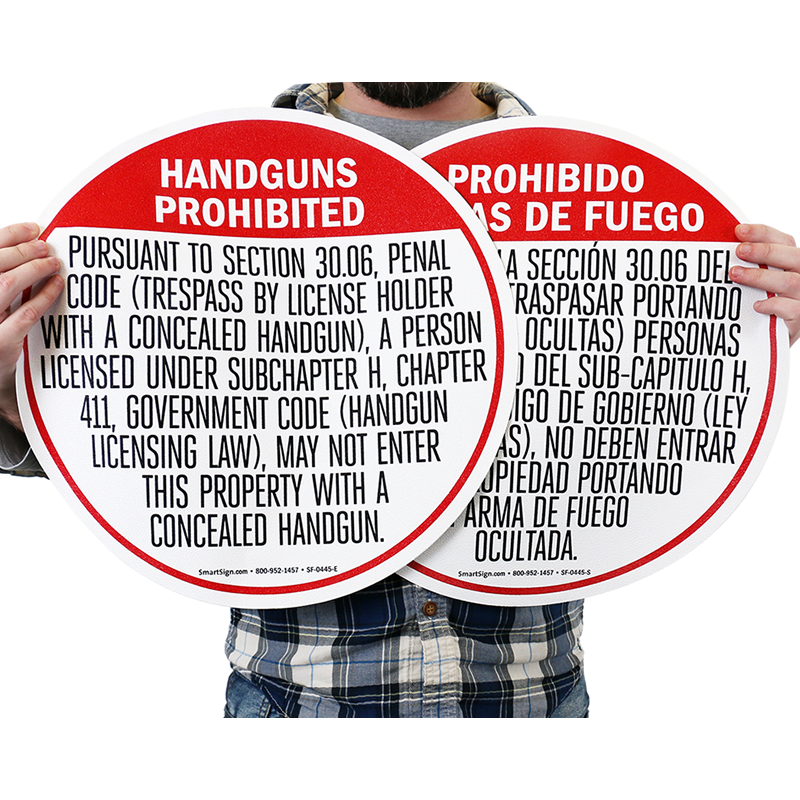 Product includes two signs. 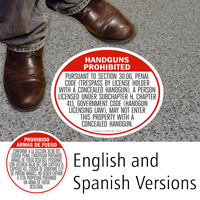 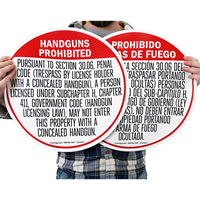 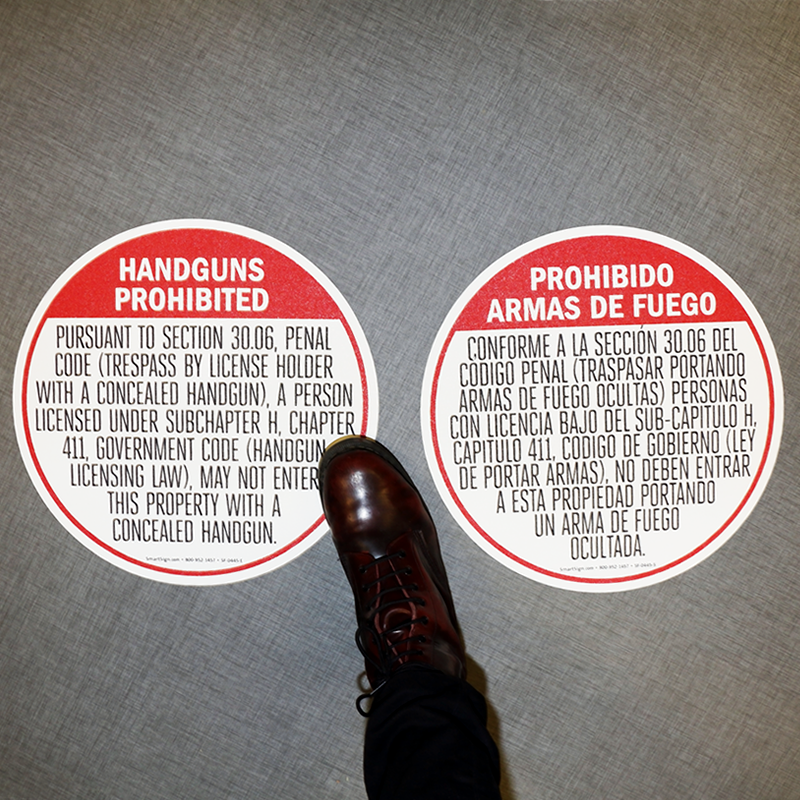 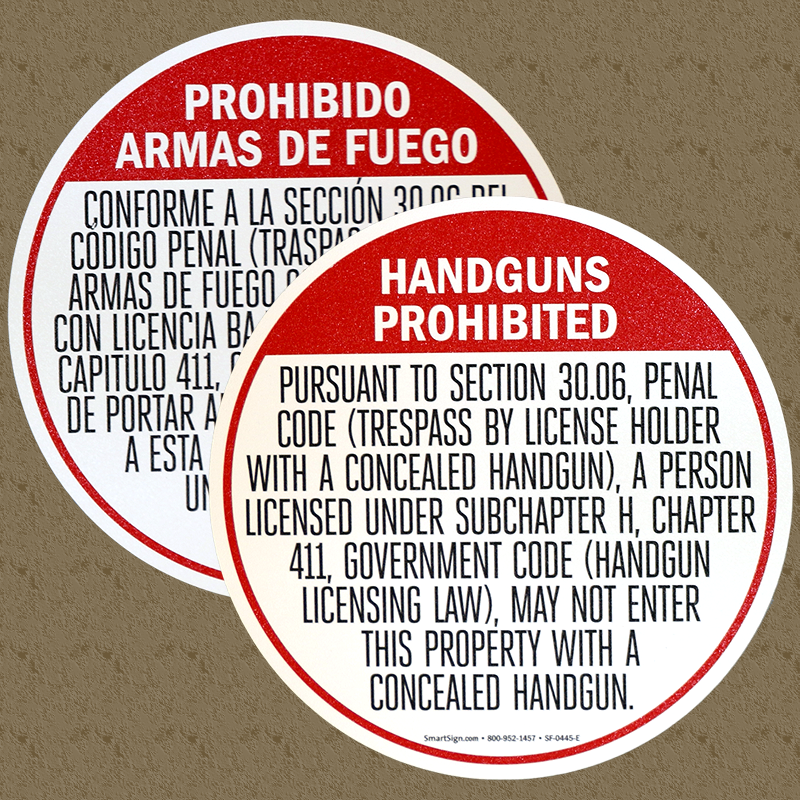 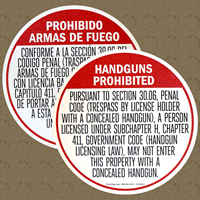 This hard-to-miss combo of two SlipSafe™ Floor Signs features language forbidding handguns in accordance with Texas Penal Code section 30.06. 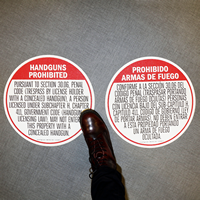 These signs are well suited for all facility owners in Texas who wish to ban concealed guns on their property.